One noticeable way to notice if concrete is settling is by noticing sagging, sloping, and/or buckling concrete slab floors. Slowly rolling a marble or small ball or taking a small amount of bottled water and pouring it onto the floor one can observe if the water runs in any direction. This will allow an individual person to know the concrete is not level and could be settling. Uneven, cracked slabs are a surefire way to notice how the concrete is settling or perhaps the giveaway is noticing cracks in the very foundation itself. Empty places beneath the soil (indicated visibly by places where concrete comes up through the ground) is another giveaway that the foundation could be settling. When the concrete isn’t properly supported from below, this causes the slab to sink. Some soil types are worse than others in their ability to expand and contract due to the climate, environment, or during times of heavy rain and periods of drought. Every time this happens, the soil weakens and washes away more and more, which potentially leaves gaps in the soil. 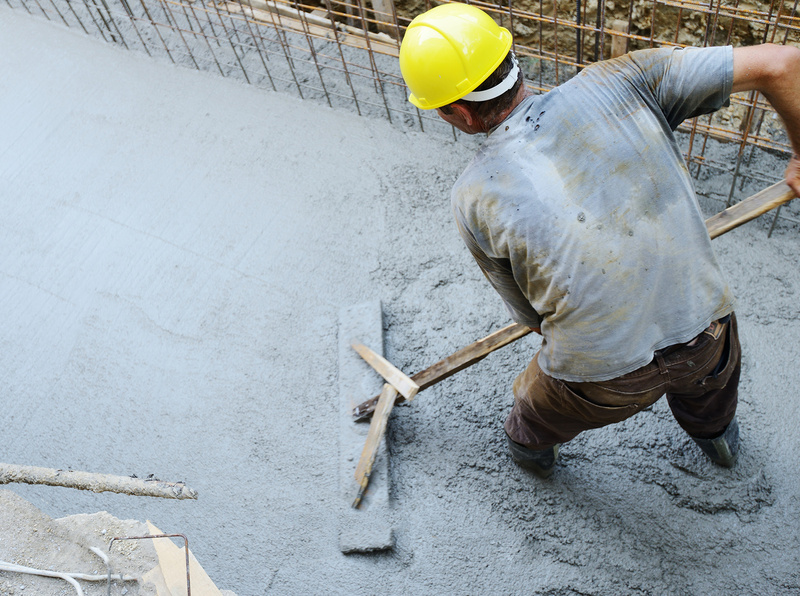 Prevent further damage to concrete foundation and settling by tackling the problem early. This will lead to future safety, less expense, and Peace of Mind. By solving potential disasters early the interior and exterior will weather and age better. Windows and doors may also work better, temperature efficiency is kept, and property value is restored. No matter what your issue, we have the concrete floor repair products you need to complete the project quickly and efficiently. For example, KwikBond offers REPO-MIX. REPO-MIX is an industrial strength, three component epoxy resin base compound that has next to no shrinkage. REPO-MIX bonds and fills easily and securely to most solid surfaces, and does not brittle when dry. It comes premixed, aggregate and all, can anchor equipment or posts, and is approved by the USDA to be used in meat and poultry plants which undergo federal inspections. REPOX-MIX is unique in that it can bond even to damp surfaces. For more information on REPOX-MIX or other concrete floor repair products, call us at (631) 298-6300.